For many French police officers, the attack on their colleagues in the Parisian suburb of Viry-Chatillon was the straw the broke the camel’s back. Scenes depicting burning police vehicles after they were set upon by a mob armed with Molotov cocktails showed the extent to which offivers are being targeted. The serious injuries inflicted on two officers in a year marred by frequent attacks on France have led much of the French police force to feel hard done by, let down by their government and increasingly stretched. The French police have borne the brunt of the recent wave of attacks in France. They are charged with the protection of citizens, but who is protecting them? Questions were raised when, in June, a commander and his partner were murdered by a terrorist in a gruesome knife attack at their home. At the time, the French Interior Minister Bernard Cazeneuve acknowledged the targetting of police, saying that commander Jean-Baptiste Salvaing was killed because he was a police officer, and Jessica Schneider died because she was an officer’s partner. In a country where police are so exposed to attack, is it any wonder that so many feel unequipped to do their job? Are they worse of than their European colleagues? In short, no. 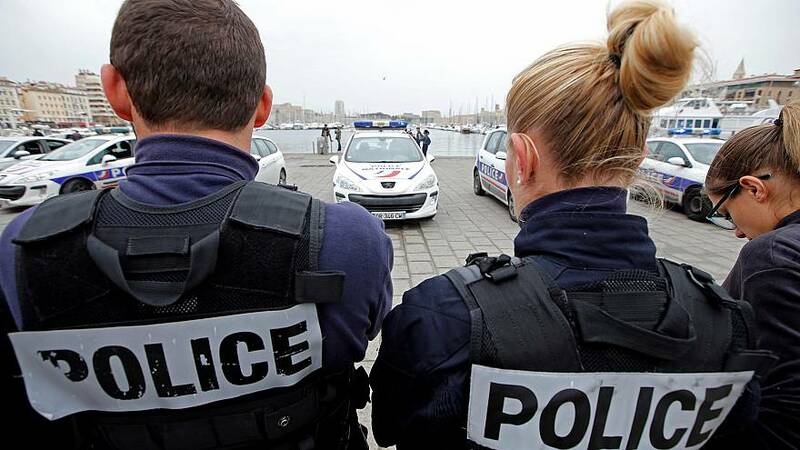 While the French police may be fewer in number than many of their neighbouring counterparts – Spain, Italy and Germany all have more than France – the amount of money spent on each officer shows them to be equally, if not better funded than other forces. The difference, however, lies in the rate of crime. Perhaps the reason that the French police feel stretched to breaking point is because, regardless of their number, they have to deal with more crime. Figures show that France sees 1.2 homicides per hundred thousand inhabitants, which, as with violent robberies, is well above the numbers in some of its neighbouring countries. Even if they are no more under-equipped than officers in neighbouring forces, it is clear that the French police are under an increasing amount of stress. In a political climate where it is the quantity of arrests, and not the quality that counts, as many officers feel is the case, the men in blue are in desperate need of relief. Put simply, the French police feel terribly exposed. Ever on the frontline, many have seen and experienced first-hand the spike in violence against French citizens in recent years. Since the beginning of 2015, terrorism in France has claimed some 238 lives. With so much blood spilt on French soil, their nerves are understandably shattered and striking is the only way that some feel their fears will be heard.